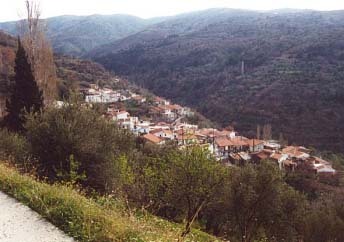 Four, peculiarly, located and separated districts, named Hametos, Psaros, Kosmados and Antrachlias compose the village Nenitouria with common meeting point the church of Taxiarchis, with the stoned kiosk and the important belfry. The chapel of Panaghia Evagelistria, built on the river side on a dome basis as well as the old wind mills are worth visiting. A very old chapel, St. George, is built at the picturesque beach of the village.